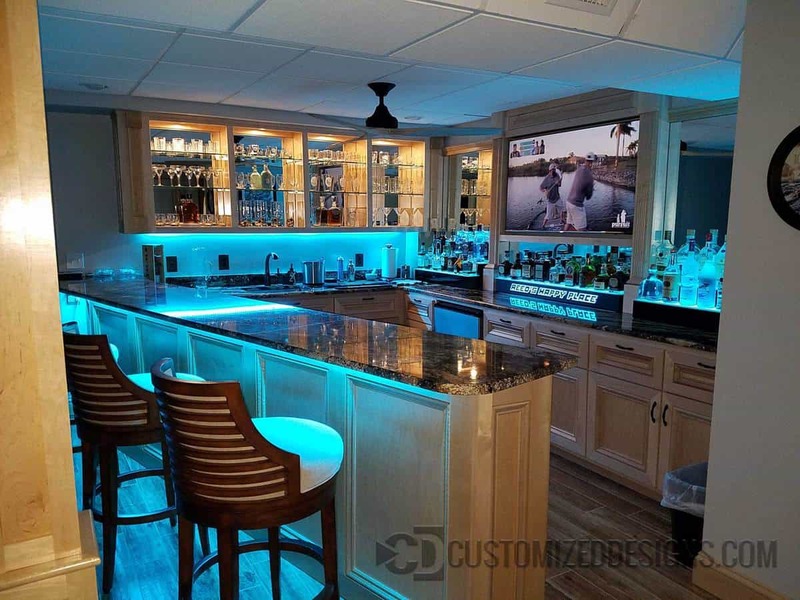 This is one of a few amazing photos one of our customers sent us of his awesome home bar. They’re using two 2 step 30″ liquor displays and a 1 step bottle display with their home bar’s name on it. There are a few more pictures of their basement bar in the home bar gallery. Check them out!